Mobility offers a great deal of advantages. However, mobile users are currently restricted by the network coverage of providers, their access network technologies and the networking capabilities of mobile devices. Moreover, mobile users have to be involved in time consuming and inflexible manual interactions with internet access service providers in order to sign long term contracts. In this paper, a novel framework, which liberates mobile users from predefined, long-term contracts, is presented. This framework enables mobile users to dynamically acquire any kind of Internet Service, irrespectively of their location and the mobile device used. This is based on the automation of the service acquisition process and the collaboration of providers that is required to satisfy end-users’ requests. The flexible communication and negotiation framework that was defined enables automated negotiations between all parties and can be used as basis towards automated service acquisition for mobile users in future internet. This work has been funded by the Greek General Secretariat for Research and Technology in the context of PENED 2003 03ED723 project, (75 % EC, 25 % Greek Republic, according to 8.3, 3rd Framework program). ITU-T Technology Watch Report 10. (2009). The Future Internet. ITU-T. http://www.itu.int/dms_pub/itu-t/oth/23/01/T230100000A0001PDFE.pdf. Accessed 29 June 2012. Bari, F., & Leung, V. (2006). 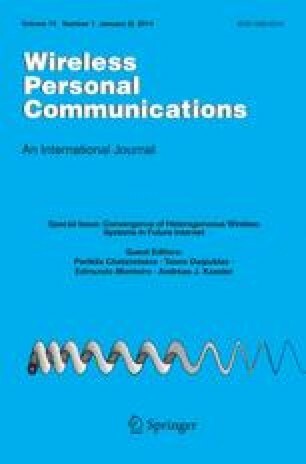 Service delivery over heterogeneous wireless systems: Networks selection aspects. International conference on Wireless communications and mobile computing, 251–256, doi: 10.1145/1143549.1143600. Castle, S. (2007). EU commissioner seeks to shake up telecom industry. International Herald Tribune, http://www.iht.com/articles/2007/11/11/technology/regulate.php. Accessed 13 June 2011. Tequila Consortium. (2001). SrNP: Service negotiation protocol. http://www.ist-tequila.org/deliverables. Accessed 10 June 2010.